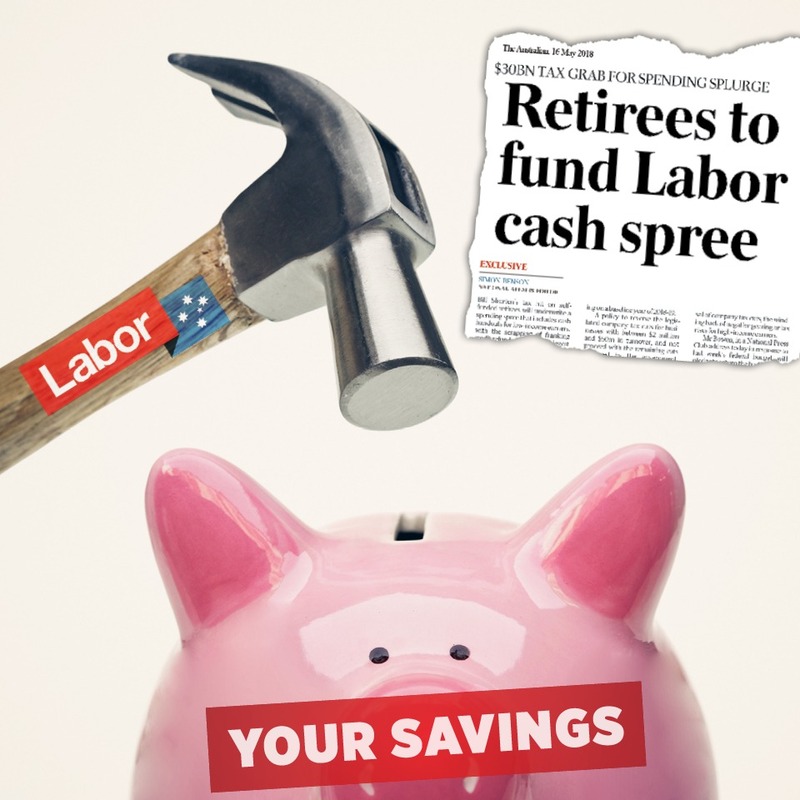 If Bill Shorten and the Labor party are successful at the upcoming Federal Election their planned Retiree Tax will hurt retirees and low income earners by abolishing tax refunds for share dividends. It will punish those who have worked hard to be self-reliant. When retirees and low income earners get a refund on share dividends, it is because the tax has already been paid by the company. The tax will impact 900,000 individuals, 200,000 self-managed super funds and 2,000 super funds. Most people affected are not wealthy. In fact, 84% of people who would be impacted are on taxable incomes below $37,000. Many retirees in Barker rely on tax refunds from share dividends to help pay their bills. If you want to understand more about how this retiree tax will impact you, please come along to one of my information forums.